Beresford Wylie joined Nokia in 1998, and has had responsibility for the merged Nokia Siemens Networks since it was created in 2007. Almost immediately the problems began, with the firm issuing a profit warning. Along with Alcatel Lucent, NSN has proven how complicated it is to manage a merger of such scale. It is questionable how valuable it is to retain the dual identity inherent in the company name. 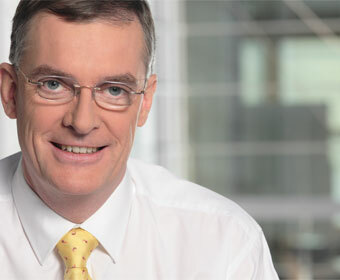 NSN results are incorporated into Nokia’s, after all, and Beresford Wylie is on the Nokia Board. It’s not inconceivable that he could bring the firm closer back to the Nokia core brand—should Nokia want that to happen, of course—and he may well, like others in the industry, have questions around the ongoing retention of the Siemens element of the brand. In the meantime, though, survival is the name of the game. It is almost universally believed that the infrastructure market has yet more consolidation to endure, and NSN’s decision to try and buy up Nortel assets as the Canadian vendor seeks to sell itself off suggests that Beresford Wylie is far more keen on acquiring than being acquired. Some within the industry have suggested that the realistically sustainable number of players in the infrastructure sector could be as low as three. If so it could make for an uncomfortable game of musical chairs.